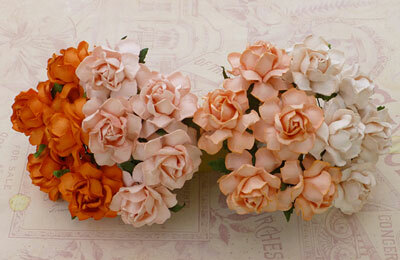 Wild Orchid Craft 25mm Cottage Roses Mixed Peach/Orange RESTOCKED! 25mm Cottage Roses from Wild Orchid Crafts. 20 mixed peach/orange roses.